One of the greatest challenges at any funfair! Some say the cranes are impossible but we can confirm that if you want to impress your friends or family and win a prize all it takes is a precise aim and a steady hand. With a range of prizes to be won, from your favourite movie characters to sweets and toys, use the crane to lift your prize and steer it home to keep it. 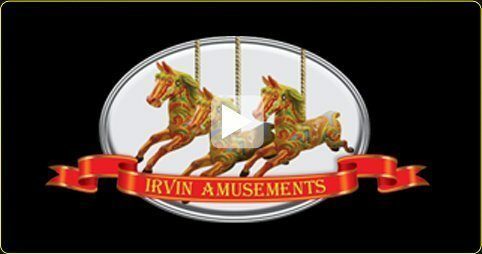 Irvin’s Amusements offer a range of attractions for any sort of function whether you are hosting your own funfair, carnival, bon fire display, party or corporate event. 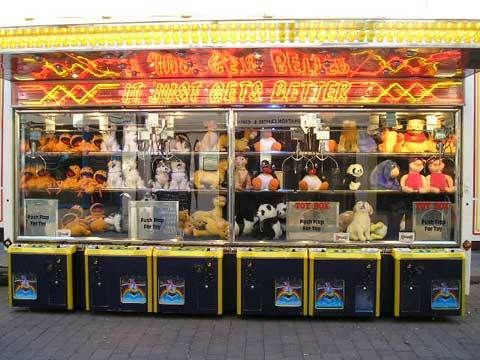 Other attractions available for hire include the classic Tin Can Alley and Coconut Shy as well as many others.